With the combination of larger storage capacity and lower production costs, Transcend's3D TLC SSDs are the game-changer to the market, delivering endurance equivalent to what MLC-based solutions once prided themselves with. 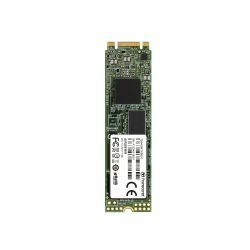 The MTS950T with SATA III 6Gb/s interface, ultra compact dimensions and 3D NAND flash makes it best suited to address the high-performance needs and strict size limitations of small form factor devices, all while being extra cost-effective and brought to you at an attractive price. The Transcend MTS950T is built with DRAM cache for reliable speeds, outstanding cache performance and customized functions to cater to the requirements of various embedded applications.